The Sahel countries—Mauritania, Mali, Niger, Burkina Faso and Chad—face many challenges, including chronic insecurity, rising extremism, a lack of economic prospects, and poor access to education, employment and essential services such as water and electricity. Climate change is weakening the region even more. An appropriate reaction, one that would be rapidly effective in the field, was necessary to deal with this instable and fragile situation; a response taking security challenges into account, a response capable of ensuring the region’s lasting and sustainable development. Development partners and large international organizations provided the response to this double-edged challenge of security and development. In July 2017, France, Germany and the European Union announced the launch of the Sahel Alliance. They were quickly joined by the World Bank, the African Development Bank and the United Nations Development Programme. More recently, Italy, Spain, the United Kingdom, Luxembourg, Denmark and Netherlands have announced their membership. In order to provide an appropriate, ambitious and effective response to the challenges facing the G5 Sahel member countries, the Sahel Alliance members decided to guide their work according to four key principles: targeting its fields of action; accountability between partners with regard to shared goals; new, innovative and more flexible modes of action; and a specific commitment to vulnerable and fragile zones. The first principle is that projects are targeted in six priority fields: “education and youth employment”, “agriculture, rural development, food security”, “energy and climate”, “governance”, “decentralization and basic services” and “internal security”. Another cornerstone: the relationships between partners and G5 Sahel States are founded on an approach of mutual accountability, meaning that the goals to be achieved are defined, measured and shared by all partners. Next, to accelerate both their implementation and their effectiveness, the projects will adopt new modes of action, through innovative and more flexible financing methods and a diversification of the stakeholders implementing them (NGOs, local authorities, and the private sector). And, finally, the most vulnerable and fragile zones will be subject to particular attention. These principles aim to increase the coordination between partners and accelerate the implementation of assistance and projects, while addressing the needs expressed by the beneficiary countries and the G5 Sahel Secretariat. The Sahel Alliance intends to help the Sahelian countries restore the foundations of stable societies to create a sustainable development and peace in the Sahel. In January 2019, the Alliance announced the enactment of these goals through the implementation of over 600 projects by 2022, with global funding of €9 billion. In order to provide an effective and structured response to the challenges face by the Sahel countries, the members of the Sahel Alliance have chosen to concentrate their efforts on six priority sectors, which correspond with the development priorities established by the G5 Sahel countries. The projects of the Sahel Alliance are focused on one or more of these priorities and aim to have a rapid impact on the populations. In the Sahel region, two out of three inhabitants live off agriculture and breeding livestock. However, yields are low and over a third of crops are lost every year, so food insecurity is high and this situation is worsened by climate change. One of the Sahel Alliance’s priorities is the development of sustainable agriculture that is climate-resistant and able to reduce poverty and malnutrition. Access to drinking water, primary health care or social protection is still limited in the Sahel region, especially outside large cities. The region is also marked by a high rate of infant mortality. Bringing administrations closer to their citizens means decentralization, thanks to the transfer of budgetary management to local authority level. The Sahel Alliance is committed to reinforcing the needs of local authorities in terms of providing basic services. The increase in cross-border threats in the Sahel region (terrorism, trafficking, and organized crime) is challenging the domestic security forces and law-enforcement authorities, which lack human, financial and material resources. The Sahel Alliance is also intervening to establish a relationship of confidence between security forces and citizens. The birthrate remains high in the G5 Sahel countries, while life expectancy is increasing. Creating economic opportunities for the population and, first and foremost, for young people, is a priority for the Sahel Alliance. This calls for more generalized access to teaching and job opportunities by 2022. There is an electrification rate of around 20% in all the G5 Sahel countries; this is four times lower than the global average and two times less than the average of countries in Sub-Saharan Africa. Public action and innovation can help to reduce this gap. Since the region enjoys plentiful sunshine, the Sahel Alliance intends to increase the number of people with access to reliable, affordable and renewable electricity by 2022. The G5 Sahel member countries face a lack of institutional, territorial and financial governance. Citizens are demanding more justice and wish to participate more in the democratic life of their country. A combination of administrative hold-ups, corruption and poor resource redistribution means that citizens have little confidence in their government. Reinforcing the social contract in the G5 Sahel member countries by 2022 is a goal for the Sahel Alliance. Tasked with German development policy, the Federal Ministry for Economic Cooperation and Development negotiates with almost 80 countries in terms of bilateral cooperation and works with international organizations to develop multilateral cooperation. The 2030 Agenda for Sustainable Development adopted by the United Nations constitutes the international framework for Germany’s development policy. The BMZ is particularly focused on creating better opportunities in refugees’ countries of origin and is committed to working towards global food security, sustainable economic development and global climate action. The member States of the European Union have decided to gradually pool their expertise, their resources and their destiny. Together, they have constructed an area of stability, democracy and sustainable development while preserving their cultural diversity, tolerance and individual liberties. The European Union believes in sharing its accomplishments and values with the countries and people beyond its borders. With 189 member countries, staff from more than 170 countries, and offices in over 130 locations, the World Bank Group is one of the world’s largest sources of funding and knowledge for developing countries. The World Bank Group’s mission consists of two ambitious, but achievable, goals: to end extreme poverty by 2030 and to boost shared prosperity. 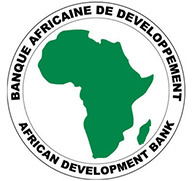 The African Development Bank Group comprises three legally independent entities that share a common goal: the African Development Bank, the African Development Fund and the Nigeria Trust Fund. It has 80 shareholders, including 54 African and 26 non-African States. In 2015, President Akinwumi Adesina defined five strategic priorities for the Group: Light up and power Africa; Feed Africa; Industrialise Africa; Integrate Africa; and Improve the quality of life for the people of Africa. This financial institution fights against poverty and promotes sustainable economic growth. At the end of 2017, the Group had approved a cumulative total of US$145.55 billion for the benefit of 5,528 investments in projects. The UNDP builds partnerships at all levels of society to help construct resilient nations and sustain the kind of growth that improves quality of life for everyone. With a presence in more than 170 countries and territories, it provides people and nations with global perspective and local knowledge. Italian Development Cooperation is organized into three pillars by the 125/2014 reform bill: the Ministry of Foreign Affairs and International Cooperation – Directorate-General for Development Cooperation, which formulates strategies and guidelines and fulfils a supervisory and surveillance role; the Italian Agency for Development Cooperation (AICS), which implements development policies according to criteria of cost efficiency, unity and transparence; and the “Cassa Depositi e Prestiti”, the development financial institution. Since 1988, the AECID has been the managing body for Spanish international development cooperation, with the goal of fighting poverty and promoting sustainable human development. Together with its partners, the Agency works in over 30 countries through its network, made up of technical cooperation offices, cultural centers and training centers. The Agency works under the aegis of the Spanish Ministry of Foreign Affairs and Cooperation and its instruments include technical, economic and financial cooperation, humanitarian aid and education for sustainable development and social awareness. The Department for International Development (DFID) leads the UK’s work to end extreme poverty. Its action aims to tackle the global challenges of our time including poverty and disease, mass migration, insecurity and conflict. Its work is building a safer, healthier, more prosperous world for people in developing countries and in the UK too. The Ministry of Foreign and European Affairs coordinates the Luxembourg government’s external action and endeavors to promote a coherent approach towards diplomacy, defense, development and immigration while supporting Luxembourg’s interests abroad. Development cooperation is an integral part of Luxembourg’s foreign policy and is firmly committed to eradicating poverty, especially in the least developed countries. Located in Western Africa, Mauritania spreads over a surface area of one million km² and has an estimated population of 4.3 million inhabitants. It is the fourth-least populous country in Africa, with a density of 3.9 people per square kilometer. Since 2008, it has been governed by Mohamed Ould Abdel Aziz. 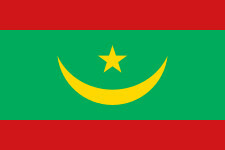 The capital of Mauritania is Nouakchott. Between 2003 and 2015, the country’s growth averaged 5.5%, benefiting from the historic increase in international commodity prices. Flourishing income taken from the extractive sector has been the main motor of this dynamic economic growth. On average, the extractive sector has represented 25% of GDP and 82% of exports. The Sahel Alliance’s work in Mauritania is focused in the Hodh region and in the field of energy and climate. 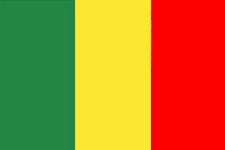 Mali is a landlocked Sahelian country with a surface area of 1.2 million km² and a population of 18 million inhabitants in 2016. Ibrahim Boubacar Keïta was elected President of the Republic in the 2013 elections. Annual economic growth has been above 5% since 2014. The Malian economy relies mainly on the mining and agricultural sectors. The capital of Mali is Bamako. The Sahelian regions in the north represent two–thirds of the territory and a tenth of the population is established mainly along the River Niger. The majority of the population lives in rural areas. The Sahel Alliance’s work in Mali is focused in the Konna region and in the fields of education and youth employment, and energy. 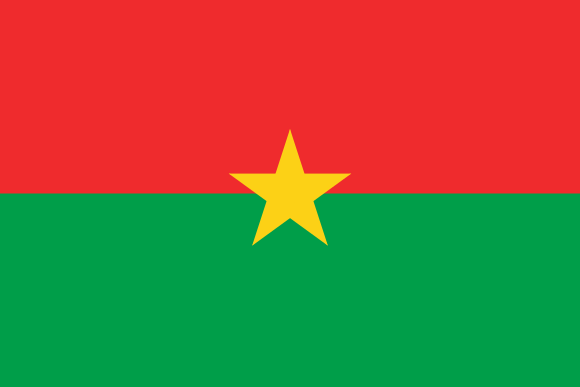 Burkina Faso is a Sahelian country with a surface area of 273,187 km² and an estimated population of around 20 million inhabitants. President Roch Marc Christian Kaboré was elected in December 2015. After two slow years in 2014 and 2015, Burkinabe growth picked up in 2016 (up 5.4%) and the outlook remains positive for 2017. The country’s economy is heavily dominated by agriculture, which employs almost 80% of the working population. Cotton is the most important cash crop, even if gold has become the country’s main source of income over the past few years. The capital of Burkina Faso is Ouagadougou. The Sahel Alliance’s work in Burkina Faso is focused in the fields of energy, access to water, and domestic security. Niger is a landlocked and semi-desert country with a surface area of 1.3 million km² and a population of 21.5 million inhabitants in 2017. President Mahamadou Issoufou has been running the country since March 2011 and was reelected in February 2016. Economic growth in Niger was at around 5% in 2017. Its economy relies on agriculture and mining resources, particularly oil and uranium, with the latter representing two-thirds of exports. The capital of Niger is Niamey. The Sahel Alliance’s work in Niger is focused in the regions of North Tillabéri and Tahoua (west). Located in the heart of Central Africa, Chad spreads over a surface area of 1.3 million km² with an estimated population of 14.5 million inhabitants. Since 1990, it has been governed by Idriss Deby Itno, who was reelected President of the Republic for the fifth time in April 2016. The capital of Chad is N’Djamena. The Chadian economy is largely dependent on oil production, which enabled the country to experience a period of rapid growth until 2014 (with an average economic growth rate of 13.7%). The Chadian economy relies mainly on agriculture (cotton, cereals, gum arabic, breeding, etc. ), services (banks, shops, telecommunications, etc.) and the industrial sector (cement works, refineries, breweries, etc.). The Sahel Alliance’s work in Chad is focused around the Lake Chad basin and in the energy field. 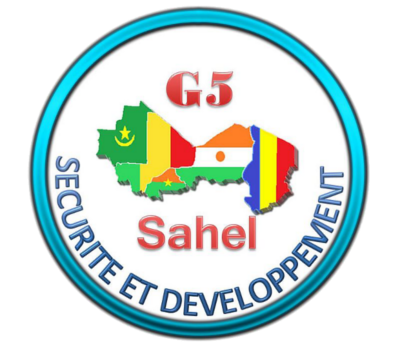 The G5 Sahel was created on 16 February 2014 in Nouakchott, Mauritania, and its primary goal is to guarantee conditions of development and security in its member countries’ region, through its Priority Investment Program (PIP) for the development pillar and through the Cross-Border Joint Force, created in September 2017, for the security pillar. The President of Niger, Mahamadou Issoufou, was nominated as President of the G5 Sahel in February 2018 for a one-year mandate. In the framework of development activities, the Sahel Alliance works closely with the Permanent Secretariat of the G5 Sahel, to bring its portfolio of projects and the PIP together.